A guest post by friend of the site and wine buff, Keith Levenberg. This piece is the first in a series of introductions to wines from different regions. Keith's post on French wines will appear next Monday. But German rieslings were once some of the most sought-after wines in the world. 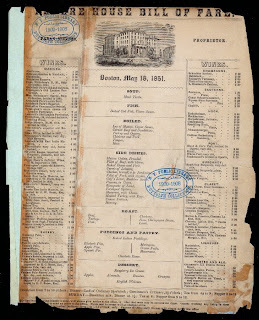 (Note the wine list at the right from a Boston restaurant dated 1851, where several Germans sell for the same two dollars as “Chateau Lafitte,” whose 2008 vintage runs over $500 on pre-arrival.) A pair of world wars against their main export market rather softened demand, and today even the best German wines sell in the $20-$40 range. What makes them so great is their ability simultaneously to appeal to the visceral craving for something just-plain delicious, while still having a serious side that inspires contemplation. Plenty of wines do one or the other; not many pull off both. As a result, one gets the sense that German wine drinkers seem to be having a lot more fun than everyone else. Here is the Wine Spectator’s tasting note, in the usual tiresome format, on a white Burgundy from the esteemed Domaine Ramonet: “A supple white, exuding spice notes of cinnamon, clove and vanilla, with grapefruit and peach flavors. Good acidity keeps this bright and focused. 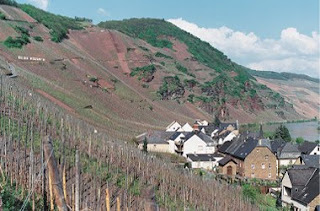 Drink now through 2015.” And here is how German-wine importer Terry Theise describes his 2008 Muller-Catoir Haardter Herzog Rieslaner Spätlese: “This variety, when it’s good, brings you to the last frontier of language. Martin mentions eucalyptus, and there are aspects of grain, lemon-balm, orchid and talc—or none of these, or all of them and many more besides. . . . The complexity I’m sure is illegal. Tantric, esoteric, endless finish. Look, I can try to explain the way great Rieslaner seems to seize you, the way it clearly blasts you with more intricacy than your palate—your poor palate—can withstand, the insane stiletto precision, the way it swaggers like some alpha Riesling that will boss your palate around while simultaneously conveying it to an indescribable bliss. . . .” Which wine would you rather drink? Which one of those guys would you rather drink with? So, get to know Germany. (Theise's beautifully written catalogs are a great place to start.) The labels needn’t be daunting. They cram in a lot of data—but that means all the information you need is right there on the label. In my example up top, “Schlossböckelheimer Kupfergrube” tells you the wine comes from the Kupfergrube vineyard in the village of Schlossböckelheim, and “Spätlese” is one of several prädikats that indicate how ripe the grapes were harvested, which is important mainly because it’s a good proxy for how dense and sweet the wine is. Kabinetts are picked early, yielding a lean fruit profile with racy acidity and a light touch of sweetness. Spätlese indicates a later harvest, producing a richer and usually sweeter wine that should still retain a lot of the energy of a kabinett. Auslese wines are harvested later still, and range from spätlese lookalikes to borderline dessert wines. Those locked into hierarchical habits of thought tend to assume auslese is always better than spätlese and spätlese is always better than kabinett, but tasting multiple prädikats from the same site and producer can prove that bigger isn’t always better. Leaving the grapes to hang longer on the vine adds depth and richness, but that sometimes comes at the expense of the acidity and fresh fruit that keep the earlier-harvested renditions vibrant and nimble. The prädikats may also be modified by the terms trocken, halbtrocken, or feinherb. Trocken means the wine tastes bone-dry; feinherb or halbtrocken half-dry. Somewhat confusing matters is that many trockens are now instead called Großes Gewächs, meaning “great growth” and reserved for dry wines from the best vineyard sites. The confusing part is that none actually say Großes Gewächs on the label; the indication it’s a “GG” is a little wingding of a grape-bunch buried like the Masonic symbols in a dollar bill. Both the sweeter styles and drier styles have their place. A little sweetness helps restrain the heat in a spicy dish, which is why the conventional wisdom has riesling as the natural companion to Thai or Chinese food. I’ve found that somewhat misguided, though, since the grape’s high acidity can exacerbate the very sting the sugar was intended to moderate. 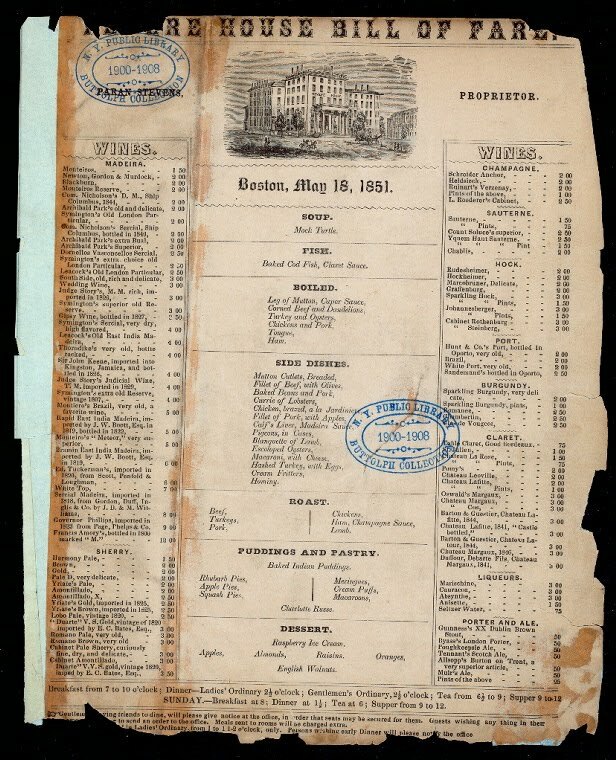 It’s also silly to consign these wines to such niches, since they perfectly complement all sorts of meals that don’t constitutionally demand a sweet wine—a basic roast chicken, for example. Trockens and GGs are nearly as flexible but shouldn’t be opened whenever searing acidity is going to be a problem. That searing acidity has made Großes Gewächs a pretty hip genre, since they’re the polar opposite of the fat, soupy wines that win mainstream acclaim these days. Going into a store like Crush (always on the cutting edge of wine trends) and striking up a chat about their GG selection will get their attention as quickly as if you’d played the Wayne's World "May I help you?" riff in the guitar shop. Keith Levenberg blogs about wine and food whenever the mood strikes at http://pickyeaters.blogspot.com. This is so handy. Thanks! I was always too timid to try these before as the extent of my German is limited to the brands of some of my kitchen appliances but now I will go forth fearless.